a tiny star leads them to Jordan’s shore. where the new-born king might be? to the child as offering. to the sweet baby boy as offering. O Son of Man! Be steadfast and keep pace! The kings are journeying, O journey too! give your heart to that sweet child! highly and most splendidly sublime. 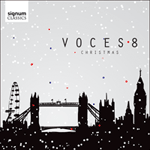 The choral arrangement of Die Könige, No 3 from the song cycle for voice and piano is titled Weihnachtslieder (Op 8). Cornelius himself wrote the texts, which so wonderfully retell the biblical Christmas narrative as seen through the eyes of an unquestioning child. 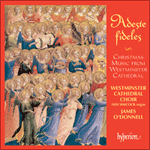 At the same time, this is deeply spiritual and emotional music – it is no wonder that they were Cornelius’s most popular compositions and have attracted new choral settings. However, Cornelius himself revised the songs on the advice of Liszt and others and as a result of his own insecurities about his music. They were first composed in 1856, then revised in 1859, and revised once more in 1870 (the last version is the one usually performed). This compositional history is particularly interesting in the case of ‘Die Könige’: it was upon the suggestion of Liszt that Cornelius added the Lutheran chorale in the bass, ‘Wie schön leuchtet der Morgenstern’, which adds a level of commentary to the story of the Three Kings. The polyphonic combination of song melody above and chorale tune below creates a unique, beautiful sonority. L’arrangement choral de Die Könige, la troisième pièce du cycle de lieder pour voix et piano est intitulé Weihnachtslieder (op.8). Cornelius en rédigea lui-même les textes, qui redisent si merveilleusement le récit biblique de Noël, comme vu au travers des yeux d’un enfant qui ne doute pas, le tout sur une musique profondément spirituelle, émotionnelle. Guère surprenant dès lors que ces pièces aient compté parmi les compositions les plus populaires de Cornelius et suscité de nouvelles mises en musique chorales. Toutefois, sur le conseil de Liszt, notamment, et en proie à ses propres incertitudes quant à sa musique, le compositeur révisa – en 1859, puis en 1870 (cette ultime version étant généralement la seule interprétée) – ces lieders écrits pour la première fois en 1856. Ce processus compositionnel est particulièrement intéressant dans le cas du lied n°3, « Die Könige » : ce fut sur la suggestion de Liszt que Cornelius ajouta le choral luthérien « Wie schön leuchtet der Morgenstern » à la basse, source d’un nouveau niveau de commentaire de l’histoire des trois Rois. 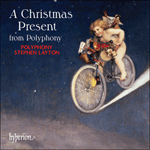 La combinaison polyphonique de la mélodie du lied au-dessus et de celle du choral en dessous donne naissance à une sonorité unique, superbe. Das Chorarrangement von Die Könige, die Nr. 3 aus dem Liederzyklus für Gesang und Klavier mit dem Titel Weihnachtslieder (op. 8). Cornelius selbst schrieb die Texte, die so wunderschön die biblische Weihnachtsgeschichte aus der Sicht eines unverdorbenen Kindes nacherzählen. Das ist gleichzeitig zutiefst religiöse und emotionale Musik – kein Wunder, daß sie Cornelius‘ beliebteste Kompositionen waren und neue Chorvertonungen nach sich zogen. Cornelius selbst überarbeitete jedoch die Lieder auf Anraten von Liszt und anderen, außerdem als Ergebnis seiner eigenen Unsicherheit bezüglich seiner Musik. Sie wurden 1856 komponiert, dann 1859 überarbeitet und 1870 erneut revidiert (gewöhnlich kommt die letzte Fassung zur Aufführung). Die Entstehungsgeschichte ist besonders interessant im Fall der Nr. 3, “Die Könige”: Auf Anregung von Liszt fügte Cornelius den lutherischen Choral “Wie schön leuchtet der Morgenstern” in der Baßstimme hinzu, was der Geschichte der Heiligen Drei Könige um eine Art Kommentar ergänzt. Die polyphone Kombination von Liedmelodie im oberen Register und Choral darunter erzeugt eine einzigartige und schöne Klangfülle. As Mary’s child in her lap they see. The kings are trav’lling; travel with them! The German composer Peter Cornelius (1824–1874) began his professional career in Berlin as a newspaper critic and private teacher, but in 1852 he travelled to Weimar to meet Liszt, whose new ideas in music, together with those of Wagner, attracted him as much as they repelled the followers of Brahms. His comic opera The Barber of Baghdad was produced at Weimar, by Liszt, in 1858, but the furore surrounding Cornelius’s espousal of the Liszt/Wagner school resulted in the opera’s failure and in Liszt’s own resignation. Cornelius then went to Vienna, met Wagner, followed him to Munich and became professor of composition at the Conservatory there. The basis of The Three Kings is the chorale Wie schön leuchtet der Morgenstern (‘How brightly shines the morning star’). To the fully harmonized chorale Cornelius added an additional line for baritone solo, for which he wrote independent words. The original German chorale text was by Philipp Nicolai (1556–1608). Peter Cornelius (1824–1874) was the son of two actors who saw that he was a talented child and sent him to train in their preferred profession. They also recognized that he had musical gifts and encouraged his music lessons. By 1840 he was playing the violin in the Mainz theatre orchestra, later acting in the Nassau court theatre troupe. On the death of his father he moved to Berlin where he began to devote himself exclusively to music. There he met painters, poets and others from various artistic disciplines and became aware of his talents as a poet and writer. Finding no outlet for his abilities in Berlin he moved to Weimar where he studied with Liszt, who immediately recognized his abilities. The group that surrounded Liszt—the so-called New German School, which included Hans von Bülow—was more to Cornelius’s taste and so the young composer devoted himself to promoting Liszt’s ideas. Liszt, in turn, introduced him to Berlioz, Brahms and Wagner and it was through contact with these composers that Cornelius began to find his métier as an opera composer—his first opera was, in fact, conducted by Liszt. When the latter left Weimar (following a dispute with the ‘New Germans’) Cornelius went to Vienna. Wagner’s influence was strong and, in 1865, he invited Cornelius to Munich as his personal répétiteur, arranging a salary from the Privy Purse of Ludwig II. In Munich he began to teach music theory, harmony, metrics and poetics at the Royal School of Music where, due to his responsibilities, his creativity also began to wane. His third opera was to remain unfinished. Cornelius was a committed Christian who also wrote sacred music. 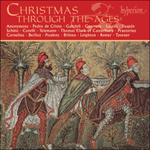 The Three Kings is the third of his Weihnachtslieder, Op 8, dating from 1856. The correct title is Die Könige, and the work is originally scored for baritone and piano. The piano plays the Epiphany chorale ‘How brightly shines the morning star!’. The song was later arranged for soloist and chorus by Ivor Atkins. Peter Cornelius was a German composer, a friend of Liszt, and well respected in his own lifetime for his operas and vocal music. 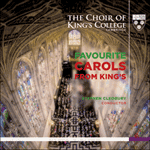 The Three Kings was written in 1856 as a solo song with piano accompaniment, No 3 of a set of six Weihnachtslieder (Christmas songs) to texts by the composer. Following the model of Bach, Cornelius introduces a chorale in the accompaniment: appropriately, it is the great Epiphany hymn Wie schön leuchtet der Morgenstern. 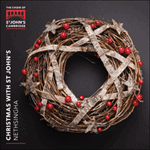 In the English-speaking world The Three Kings has become a familiar part of many carol services in the choral transcription by Elgar’s friend Sir Ivor Atkins. 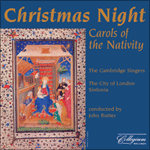 The German composer and poet Peter Cornelius (1824-74) wrote three operas and many songs, but to British audiences he’s best known for The Three Kings, or Die Könige, which is the third of his Op 8 Weihnachtslieder of 1856. We have Franz Liszt to thank for the carol’s masterstroke though, because it was him who suggested that Cornelius juxtapose his original solo baritone melody, composed to his own text, with a piano accompaniment playing the Lutheran chorale, “How brightly shines the morning star”. 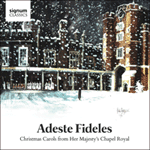 This more well-known version for choir and soloist was arranged by Ivor Atkins. 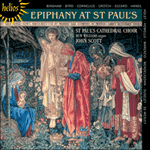 The Epiphany anthem The Three Kings is the most widely popular work by German-born Peter Cornelius (1824-74), although his opera The Barber of Baghdad is occasionally staged. 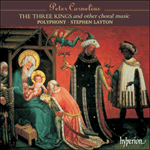 In The Three Kings, originally part of a song-cycle entitled Christmas Songs, the solo voice sings Cornelius’ melody above a chorale tune by Philipp Nicolai.